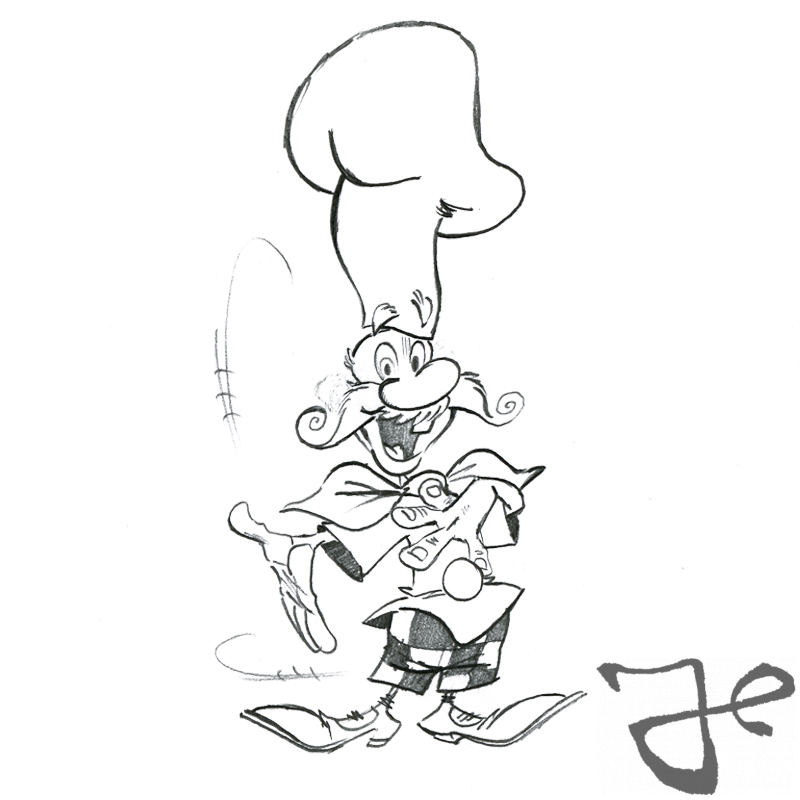 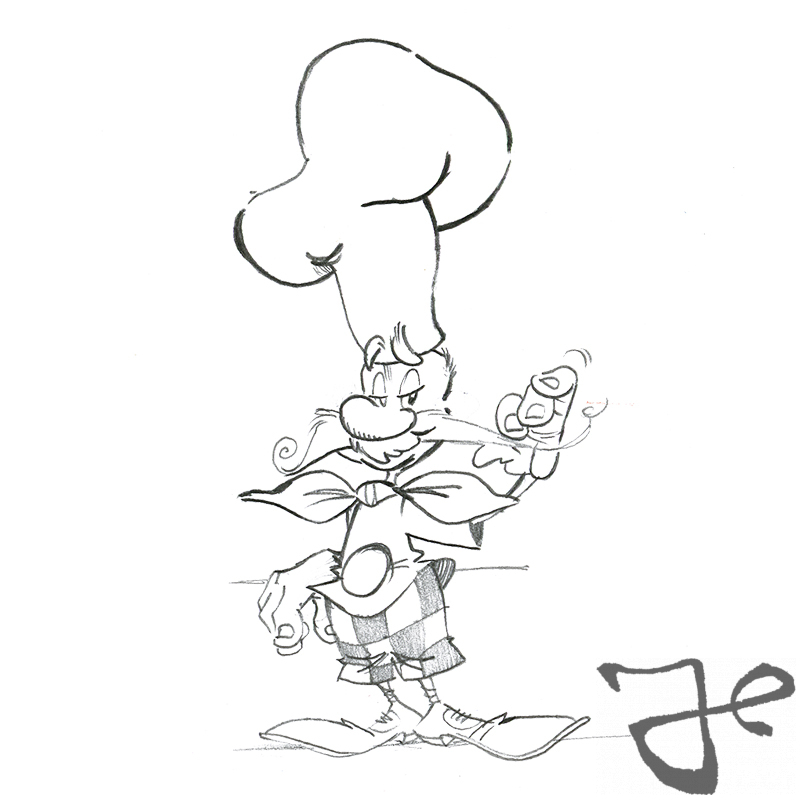 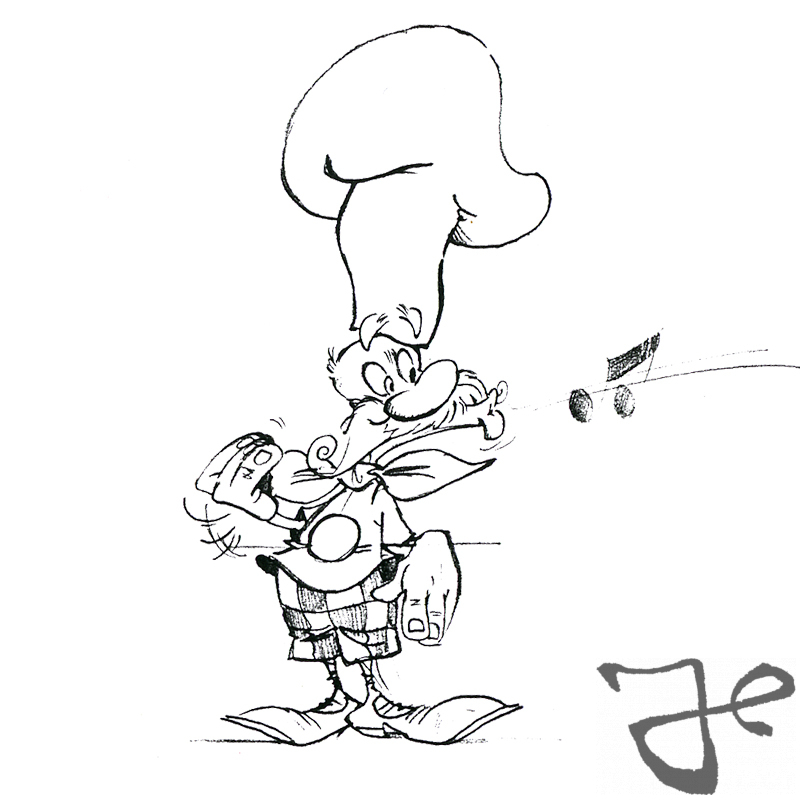 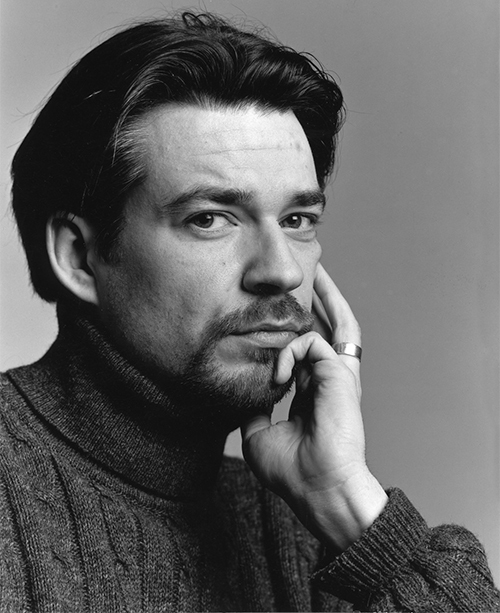 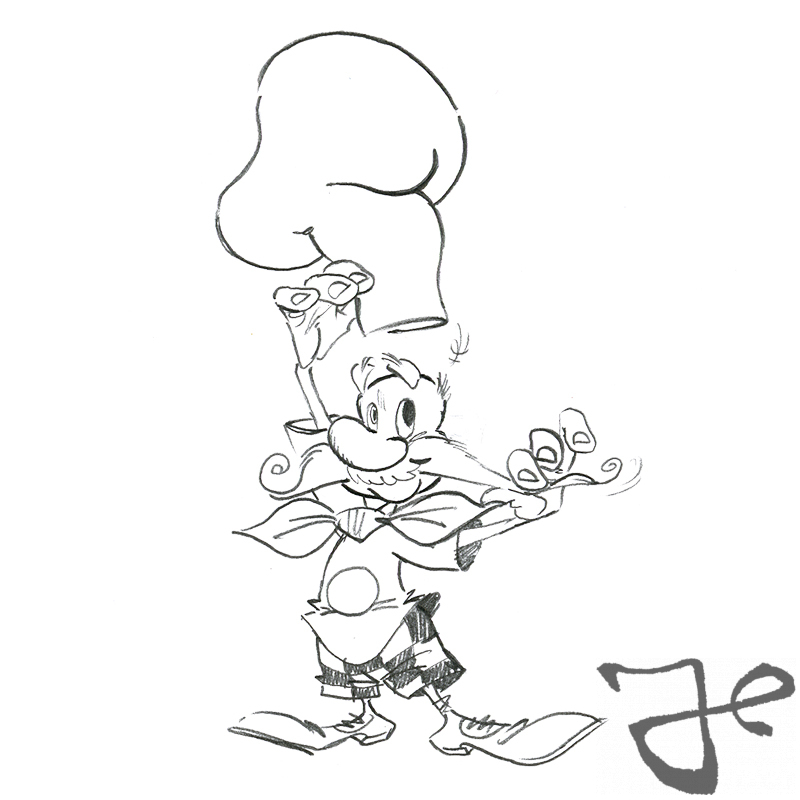 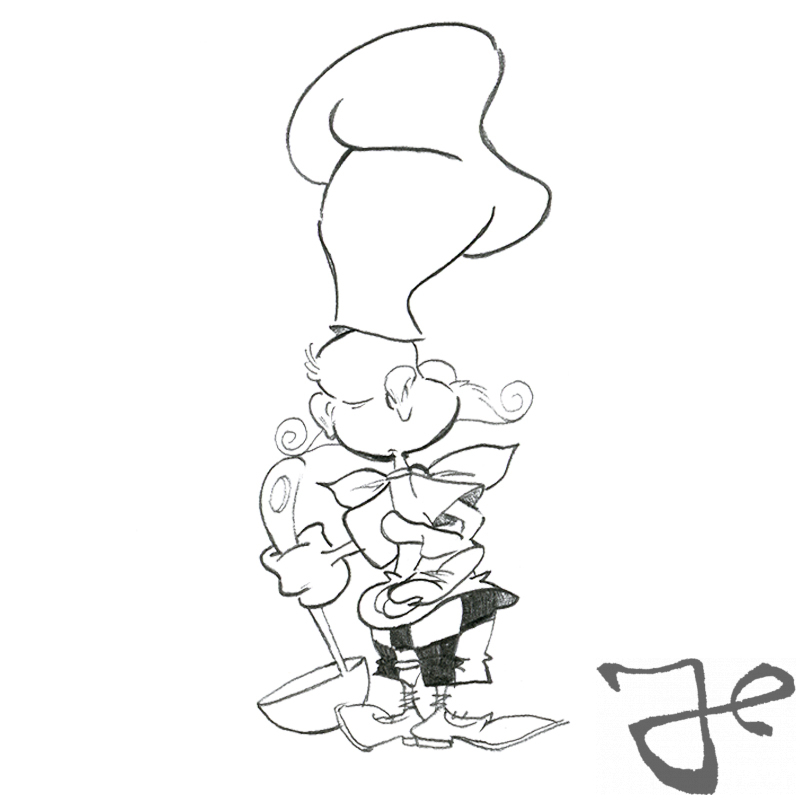 In 1991 Harald Siepermann worked on character design and storyboard for a German television cooking program Mahlzeit, that eventually was never produced. 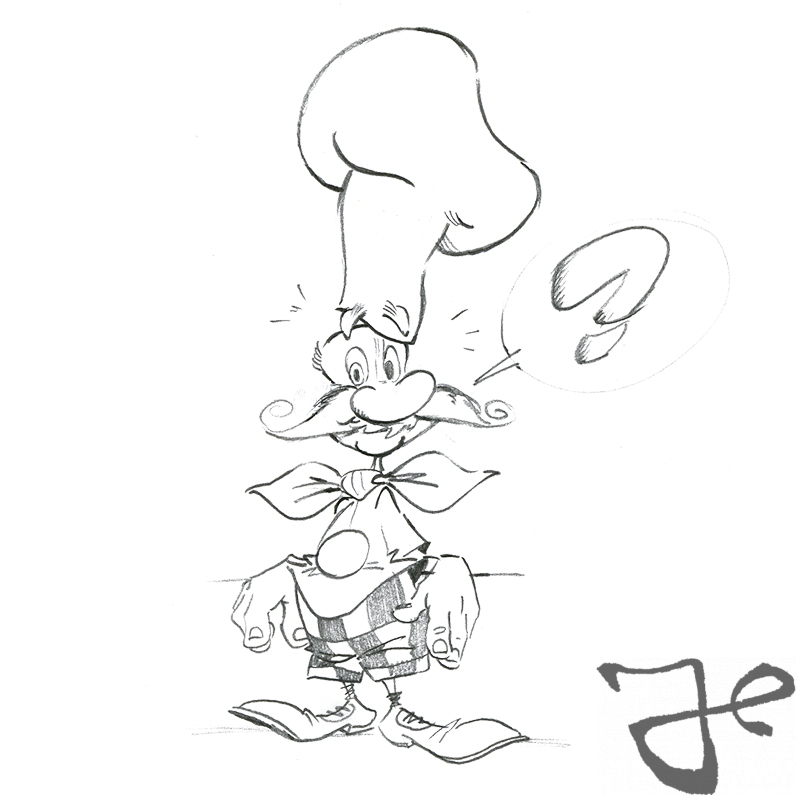 The idea was to combine animation and live action in the same vein as the movie Who Framed Roger Rabbit, to attract a bigger audience than only people who are interested in a cooking program. 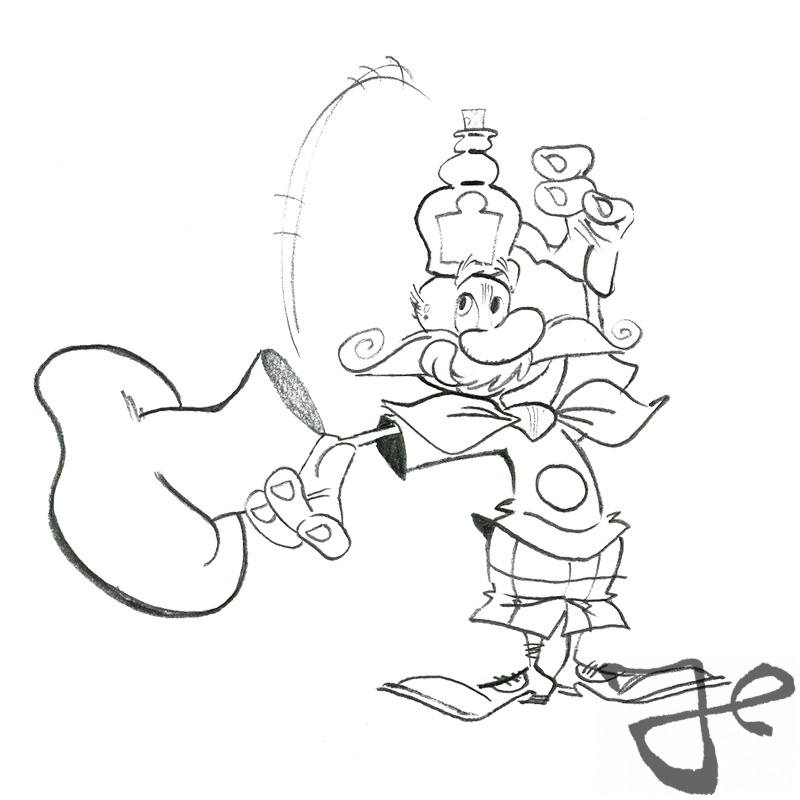 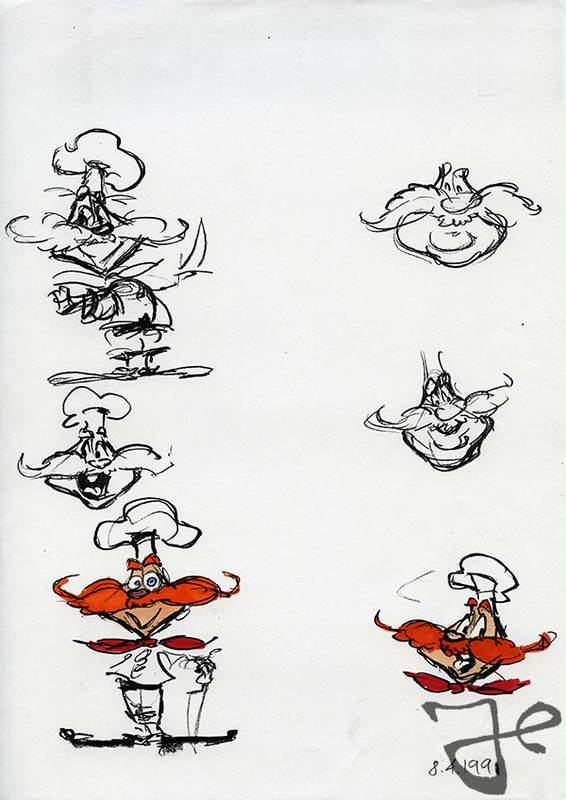 Harald Siepermann made character designs for a little cook called Bruno Mozzarelli and he created the first storyboard. 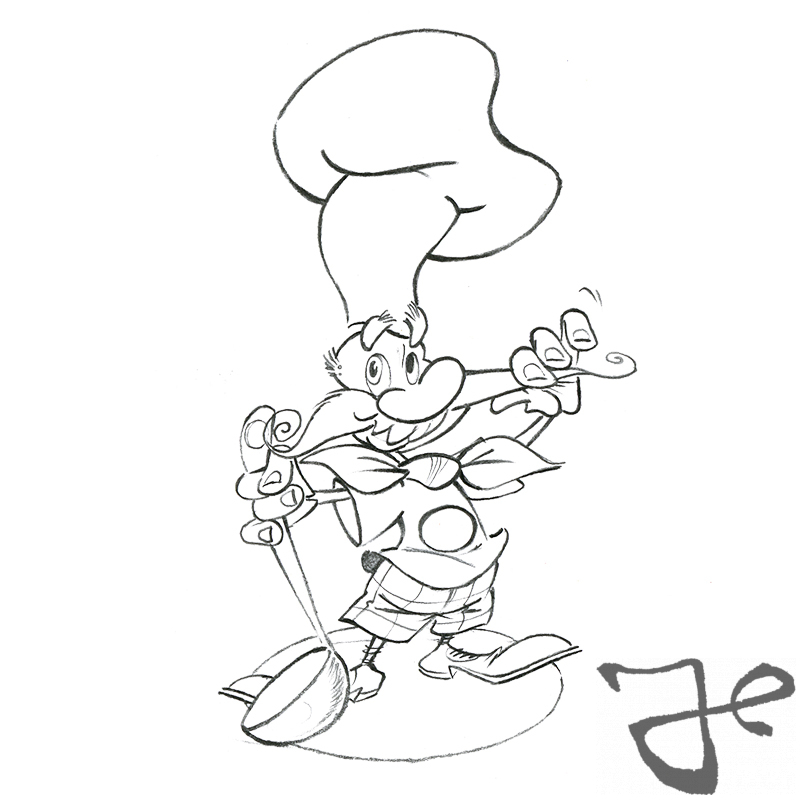 Here are some illustrations of the character design.